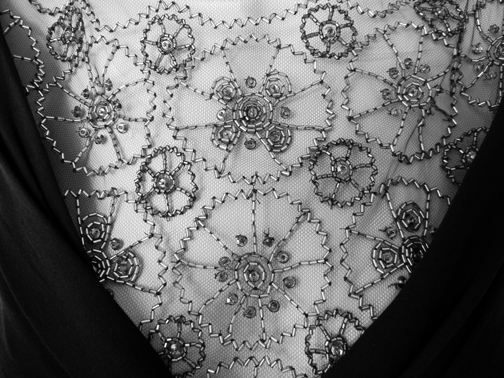 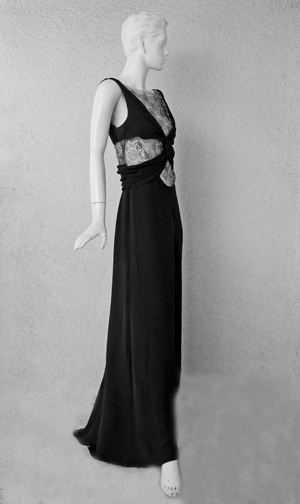 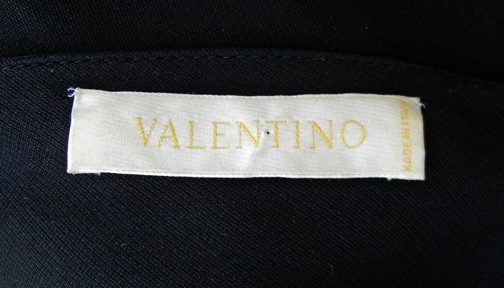 Valentino bias cut black silk evening dress with criss cross bodice overlaid on silver hand embroidered silk net. 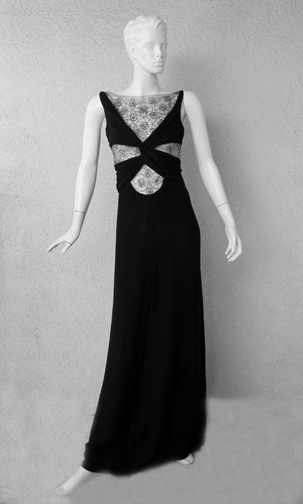 A very elegant timeless classic. 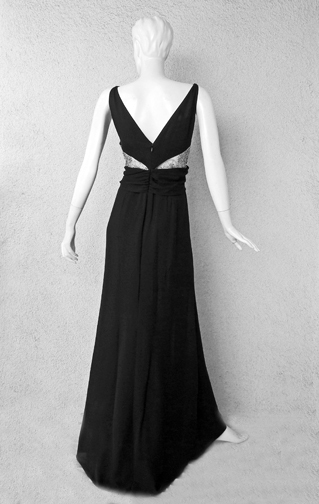 size 12; bust: to 40" waist: 35" hips: 42" length: 60"